A discovery no bigger than the palm of your hand has riverkeepers on the James River very excited. Five juvenile sturgeon were found in the James, a positive sign for both the federally-protected species and the health of the waterway. 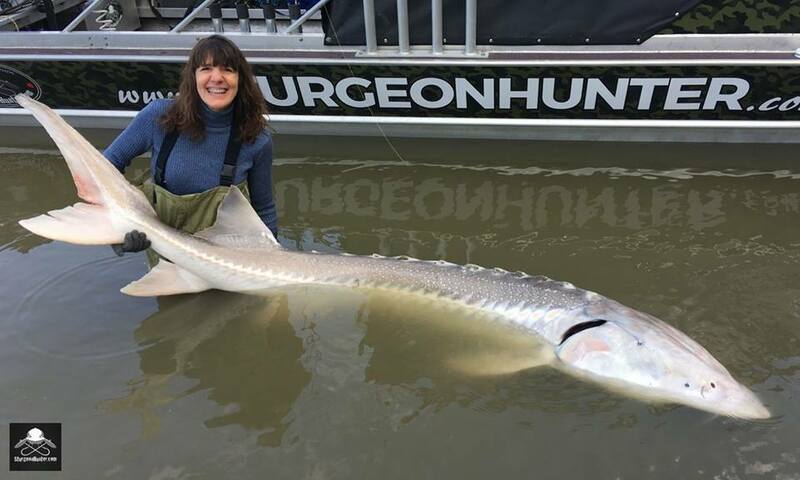 The tiny young fish are quite a contrast from adult Atlantic sturgeon, which can grow to be 14 feet long and live for 60 years. Baby sturgeon have just recently turned up in the river, after no sightings in more than 10 years. It’s a big deal because it shows sturgeon are spawning in the James. The species was harvested almost to extinction in the 1800s, and has only made a comeback in the last few years. Jamie Brunkow, Riverkeeper with the James River Association (JRA), reports that JRA staff found the weeks-old sturgeon during an educational outing and released them back into the river.